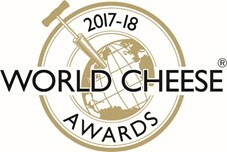 SUCCESS AT THE WORLD CHEESE AWARDS!! TRELAWNY WINS GOLD AT THE WORLD CHEESE AWARDS! Delighted Trelawny has done so well….After a lot of work our new brine pH is now just right for our old stalwart cheese Trelawny! Trelawny now has a deeper more robust flavour whilst retaining a well balanced acidity. Another of our customers, Thomas Hanson of Hanson Fine Foods, has fully backed these results and we are now brining all the “Trelawny” we make so if you are looking for an exciting full flavoured Cornish farmhouse cheese give “Trelawny” a try!